Kate Thornton is a lifestyle, wedding and family photographer. 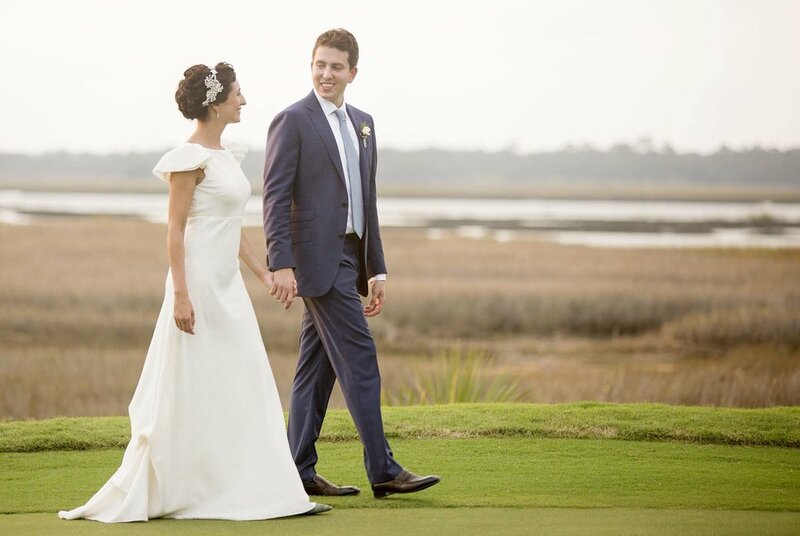 Kate and her team have been photographing in Charleston, SC and beyond for over 15 years with ★★★★★ reviews. I am honored to have my photographs featured in these publications and many more! Sign up to receive my free guide on dressing for your portrait. Always be the first to know about discounts and the latest news. Don't see the email? Double check your spam/promotion folder, and then add us as a contact so you don't miss out on the guide! Sunday Mornings: I read the newspaper with coffee in hand. Fold laundry and watch the CBS Sunday Morning show. Then feel guilty for skipping church again. My style of photography is photojournalistic and much more candid and “in the moment” than a traditional photographer. My images appear regularly in the New York Times and the National Geographic Traveler as well as other national publications. I prefer to stay in the background and not intrude on your day, capturing more intimate moments as they happen. I left my hometown of Richmond, Virginia to earn a Mass Communications degree at The College of Charleston. As a member of the college sailing team, I grew to love the Lowcountry lifestyle and all that the area offers. After college, I spent a year in the Virgin Islands photographing weddings and two years back in Richmond as a photojournalist for a daily newspaper. In 2004 I moved back to Charleston and opened Captured by Kate Photography. I have been photographing weddings and families and covering editorial assignments in the area and beyond for over 13 years. I live on James Island with my husband Chris, our two girls, Claire and Mary, and our labradoodle, Brody. I'm an active member of James Island Presbyterian Church, The Charleston Junior League, the National Press Photographer’s Association, and the American Society of Media Photographers. "Kate Thornton has a positive energy that immediately puts her subjects at ease. As a result, the images she captures are special, candid moments that will certainly become cherished memories." "Kate has a great eye for those moments that really capture our personalities on our wedding day as well as our engagement portraits. She's easy to work with and very good at what she does. Would definitely work with her in the future as we build our family, and will be recommending her to anyone who needs a photographer! Wish I could give her 10 stars!!" "Kate is wonderful to work with and photographs the essence of the moment. She has worked with our family several times, and we love that she lets life happen. She always finds the perfect shot and captures memories that we will cherish for a lifetime. Thank you Kate!" "Kate was exceptional. She photographed our daughter's engagement pictures and wedding. She was a pleasure to work with during the portrait sessions before the ceremony and to tell you the truth, I hardly realized they were around during the ceremony and reception! And just last week when I got the pictures, I thought Wow, I never noticed them capturing all these wonderful moments!!! Thanks so much Kate! Well done." 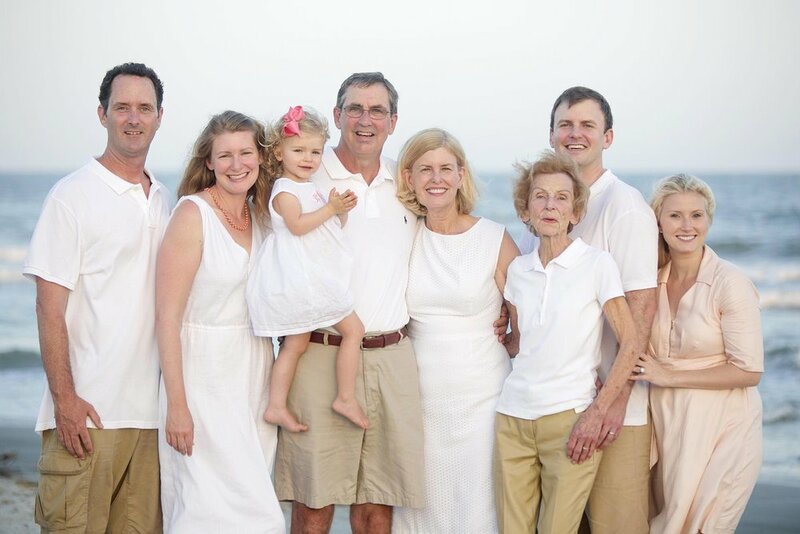 "Kate did an excellent job of photographing our family! We had four generations present and she managed to make it fun and easy for all involved. The images are lovely. They catch the personality of our whole family and the relationships within the bunch." "She is a DREAM. perfectly captures candid moments - you don't even realize she's there half the time. An amazing combo of being behind the scenes most of the time but also not afraid to tell you if your hair is messed up. Most importantly though, her work is STUNNING." "Kate is A GEM. She is so, so talented - the photographs she takes are absolutely stunning. She also strikes an amazing balance between blending into the background so that you don't even know she is there and directing friends and families to positions when she needs to get certain shots. She does it all with a smile on her face and a confidence that makes everyone listen to exactly what she says. She will capture moments that you don't even know are happening. If you are looking for the best of the best - it's Kate." "Photography was one of the most important elements of our wedding and Kate and her team nailed it on every level. We loved everything about working with her from her positive energy to the final images we received. It was evident that Kate really cared about us, our friends and our families, and she was completely attuned to what we wanted out of the photographs. We've received so many (unsolicited!) compliments on her shots, which is a testament to Kate's talent and professionalism. Additionally, she was able to get some of the best photos we've ever seen of the less-than-photogenic groom--no small feat! Hiring Kate was by far one of the best decisions we made for our special day and we can guarantee anyone else would be just as pleased. She's a true talent... and a wonderful person to have around!" "Kate Thornton is a complete dream to work with. Kate photographed our wedding and I could not recommend her enough. She immediately puts you and everyone else around at ease and brings such a positive presence to every moment of the day. Upon meeting her for the first time I immediately felt a connection with her and that same sentiment was expressed by other family and friends. She felt like a family member I had known forever. Kate also photographed a wedding I was in and it was just a joy to be able to watch her at work again! Kate really knows how to capture the natural moments beautifully. We couldn't be happier with our wedding photos and know we will cherish them for many years to come." "Kate was fabulous, and my husband and I both felt so comfortable and at ease with her as our wedding photographer. Not to mention the photographs were absolutely beautiful!!!!" "Kate took beautiful pictures and was so wonderful to work with! We have received so many compliments on her photos and my husband and I definitely recommend her!" "Kate is phenomenal. She did my wedding and my sister's wedding as well and the pictures were stunning. She is able to capture special moments in a candid way that doesn't look too staged. She has a great eye! You will not be disappointed!!" "Weddings are expensive and as a father of the bride, a little overwhelming. Friends recommended Kate and she was even better than they said. She was so enjoyable to work with. I don't know how Kate does it, but everyone looks beautiful in her pictures. Anyone can take pictures of a wedding. Her pictures told a story - the engagement, the wedding party preparing for the ceremony, and all that went on that day. Every time that I looked at her, she was working hard and getting pictures that I would never have thought of. Our family cherishes her pictures." "Liz and I what to thank you again for being part of the wedding weekend. 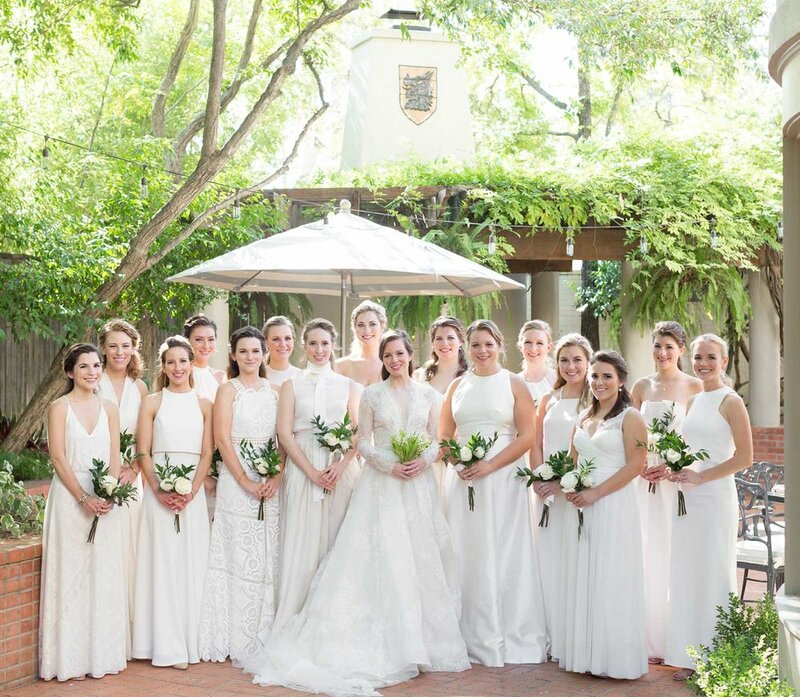 You did such a wonderful job of corralling the bridal party to get the group photos - no easy feat - but also did an excel job of blending in when the time was right. We are back from the honeymoon and had a blast. We wish we could do the wedding weekend all over again." "Thank you so much for making our wedding day truly magical!! Your photos were absolutely gorgeous and we can not be more pleased! Additionally: you were such a delight to work with prior to the actual wedding day. Your calm and soothing personality was exactly what I needed! You truly are the best and we plan to be in touch soon regarding a wedding album." 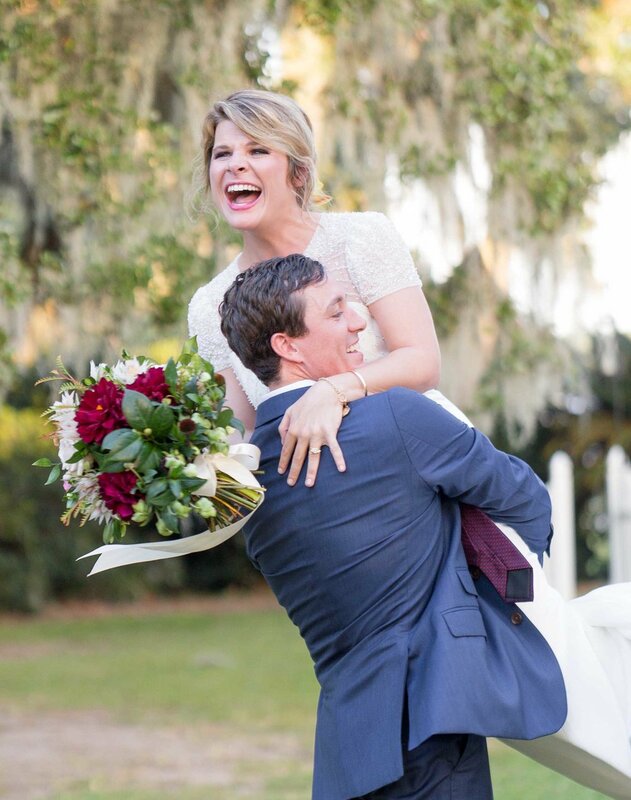 "My, now husband, and I were referred to Captured by Kate Photography by a local wedding planner after I had done so much research on local photographers and couldn't find exactly what I wanted. When I went through the website of her photos I was amazed and my referral said she had a great personality which was a huge plus for me and was so true! Kate was on top of everything and was great to work with. There were many things that were stressful about my wedding but photography was not one of them. I was amazed by how many photos she and her assistant took - I still look through all of them a year later and just get so happy because they captured every single special moment of the greatest day of my life." "Kate was absolutely perfect photographing both our engagement shoot and our wedding! She made us feel very comfortable and took wonderful candid photos of us. 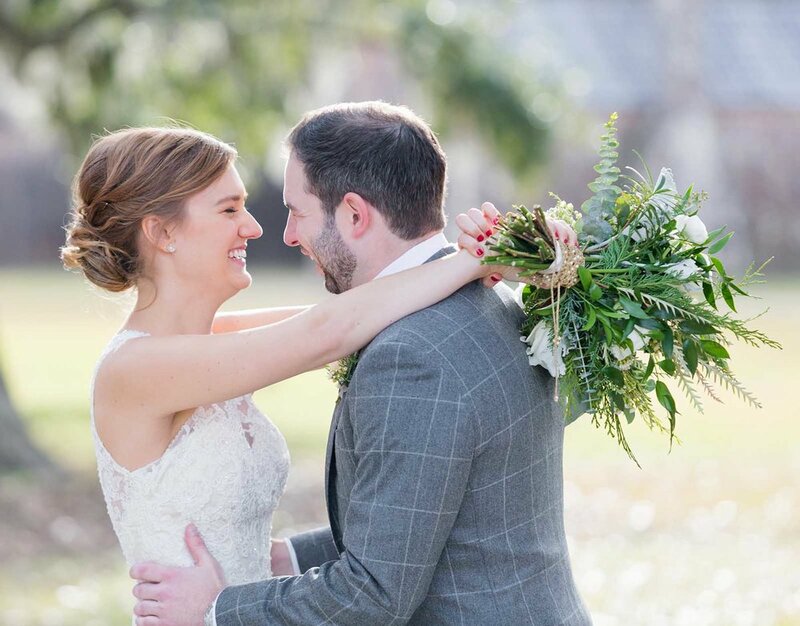 She made sure to photograph everything that made our wedding so special, like our Folly Beach house, the trolley, and the huge inflatable flamingo! She was such an important part of our day and helped us preserve beautiful memories. Kate is truly an artist and we highly recommend her!" Kate was a calming presence and breath of fresh air on what otherwise could have been a slightly stressful experience (corralling hoards of friends and family for pictures can be like herding cats!). The pictures turned out BEAUTIFULLY. I've honestly never liked having professional pictures of myself taken, but Kate's easy, effortless approach and candid aesthetic were everything. There was not a single picture in the 1000+ proofs that I was not absolutely in love with. I have had so many friends and family tell me (throughout the event and again after seeing the photos) that I had one of the best wedding photographers they'd ever seen. I couldn't agree more. Not only did she give me the most priceless gift of adequately capturing the feelings and emotions behind the best day of my life, but she became a friend in the process. She also totally understood and "got" my vision - I wanted an editorial feel rather than a bunch of cliche posed pics - and she (and her wonderful colleague James) totally delivered. Her attention to detail and passion for her art truly shine through in each and every photo. I remember times throughout the night catching a glimpse of her and feeling so comforted that she was actually documenting EVERYTHING! But at the same time, my husband and I joked that she was like a ninja because looking back through the pictures, we were saying to ourselves "how did she get THIS shot?? Where was she?? That's remarkable!" In a nutshell, if I could do it over, I would hire Captured by Kate again and again. Her talent is rivaled only by her kindness, patience, strength, and authenticity. Please give me a call or fill out my contact form for a complete list of prices. Initially, by phone. It's nice to get to know you personally and lend a hand if possible with your planning. If I'm not photographing I am in my office from 8:00 am - 2:00 pm M-F. I’m happy to talk after hours just let me know when to look out for your call. You can also fill out my contact from. If you’d like getting ready images through your exit, 10 hours will cover you! If one end of the day is more important to you than the other, 6 is plenty, and if you're having a small, family wedding or an elopement 4 hours will work out well. If you are planning for more than 100 guests, I would highly recommend it. Your day will be more relaxing and you will get more comprehensive coverage. If you are planning for more than 300 guests, I would recommend two. Who will be the second photographer? I have an ongoing list of professional photographers that are usually just starting out and eager to build their portfolio and gain experience at a wedding. I will match your wedding with the second photographer that will best fit your personality and photo requests. Yes, I would love to meet in person. Give me a call and we will schedule an appointment that is convenient for you. However, The best way to really get to know each other in advance is to book an engagement or bridal session. It is a great opportunity to warm up on camera! Yes, to see a PDF with information on my albums click HERE. I'm a Canon photographer. I have three digital SLR camera bodies and eight different lenses I take to all photo assignments. I am fully prepared for any malfunction. Digital photography is the best way to candidly capture a fast paced event with constant lighting changes. Your images are culled, color corrected, cropped, and dodged and burned. What does this mean? Your photos will look crisp, professional and consistent. I also convert about 15% of your photos to black and white. You’ll be able to share photos directly from your gallery to any social media site. Please credit Captured by Kate Photography when you post. You can print the photos from the high-resolution digital files that are included in most of my photography packages. But I would prefer you order professional prints from your online gallery; the prints will be punchy, crisp and on archival paper. 4x6 Print $4, 5x7 Print $6, 8x10 Print $10, 11x14 Print $18 All professional quality prints can be ordered through your online gallery. Large prints are also available. I've had the opportunity to photograph weddings across the US, in the Bahamas, and the Virgin Islands. I love to travel! What if you are sick or can't make it to our wedding? (Knock on wood) In my 13+ years of photographing weddings it has never happened. I take my job very seriously. I have a long list of back up photographers that would gladly step in if something did happen and vice-versa. No, in order to maintain the high quality of work I produce and give great customer service to all my clients I am not able to give a discount. To secure a wedding date I require a $1000 deposit. The remaining balance is due two weeks before the wedding. For family portraits payment is due the at the portrait sitting cash, check, or venmo @capturedbykate is preferred. I would love to photograph an entire wedding in B&W. If that wedding happened to be a foreign country, I will have died and gone to heaven! - You’ll assist with wedding, portrait, and editorial photo shoots. - Learn post-production workflow for digital images, prints and wedding albums. - You will be responsible for completing a photo essay of your choice. I will help with contacts, editing the images, and coach you through telling the complete story. This will be a portfolio piece that can be used on your website or social media.